The monsoon season seems to have started taking its toll, after the heavy flood of rains in Mumbai. The city has so far reported less cases of dengue, but one case has proved to be fatal recently. An aged 90-year-old Chembur resident died of dengue this week. He was reported to have a low blood count- dropped from 1 lakh units to 23,000 during the treatment, and is confirmed as a case of dengue. Only after two weeks of heavy rains entering Mumbai this season, the city has recorded 28 cases of dengue and 354 cases of malaria till now, as reported by the Municipal Authorities. 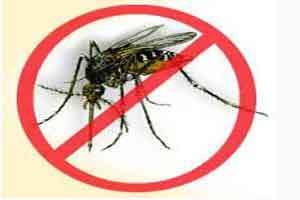 Malaria is another common health sight in Mumbai, due to the open breeding ground for mosquitoes in the rainy season. Mumbai has witnessed a rainfall of 1,038.6 mm in the last two weeks, its highest ever in the month of June. The Municipal Authorities issuing an advisory to people to stay at home because of the water menace on the roads, and the health hazards thereof.